You’ve made the big first step. You’ve invested in a property. Now you just need a tenant to call it home. Finding a tenant is a process most people want to be over with quickly, but your goal shouldn’t be to just find anyone as fast as possible. The property and price need to suit the tenant of course, but the tenant also needs to suit you. Rushing into a quick deal can cause headaches later, and a particularly tumultuous tenant may leave you repeating the whole process sooner than you would hope. Those struggling to find tenants and becoming desperate can often be the target for less than reputable sorts. Be on your guard against those who ask about off the books cash arrangements or who offer to pay 6-12 months rent up front. You should be taking on tenants with clear, definable terms. If it’s too good to be true, it probably is. If it sounds legally grey, stay far away. The amount of time needed to source a tenant can vary, depending on the current market, approach and perhaps most importantly, that ever pertinent word, location. You’re going to be drawing from a smaller well in Cooladdi than you are in Sydney, but advertising options are greater and grander than they’ve ever been, and you don’t need to break the bank to get the word out. So don’t fret about time too much, focus on quality. Don’t be afraid of the more obvious and broadly available advertising approaches. The point of advertising is, after all, to be broad! Facebook now has a built-in market feature for a reason. User-created groups focused on particular property markets and locations are now commonplace and often highly targeted; allowing you to tap into the exact demographic you’re looking for with surgical precision. These groups are big for a reason and they’re only getting bigger (and more numerous!). Fairy Floss Real Estate, a Facebook group tailoring to the 18-30 demographic, has over 150,000 members, but more tightly focused groups can still capture wide audiences. An area group for Sydney’s Eastern Suburbs is 30,000 strong for example. Even just a cursory scroll through its listings shows masses of comments and interest in virtually every property. If you’re self-managing; these built-in audiences are a cheap and effective way to get the word out. Other popular services such as flatmates.com, gumtree and cubbi are similarly useful but you should leave no stone unturned. If you plan to forego a property manager, sourcing a tenant is best done by casting a wide net. This doesn’t, however, mean you should stick strictly to the internet. With such a deluge of competing, options on the world wide web even great properties can get lost in the white noise, particularly if you’re aiming for older demographics. Local advertising and word of mouth can still go a long way. The Household, Income and Labour Dynamics in Australia (HILDA) survey has shown consistently that over 60% of those moving houses move to a property between 0 and 9 km away. A sign outside the property can draw in a lot of interest, and helps to place a potential tenant immediately within the physical space of your property. Try a word to a friend or some local advertising at a shopping centre or just anywhere people congregate. Keep your net wide but don’t underestimate the power of the local and the understated. Use broad strokes as well as precise strikes. Sometimes though, distance is a good thing. More specifically, distance from the whole process. You may just not have the time or the confidence to get into the nitty-gritty of sourcing a tenant. Delegating responsibility for your property to a property manager may be a little pricier than self-management, but it’s a sound strategy when done right. Anyone who has shared a roof with a tenant before will know first hand how often personal squabbles and disagreements can get in the way of a healthy and mutually-beneficial business relationship. The same applies to tenants who are renting a whole property from you, an arrangement that can, in fact, be even more aggravating. 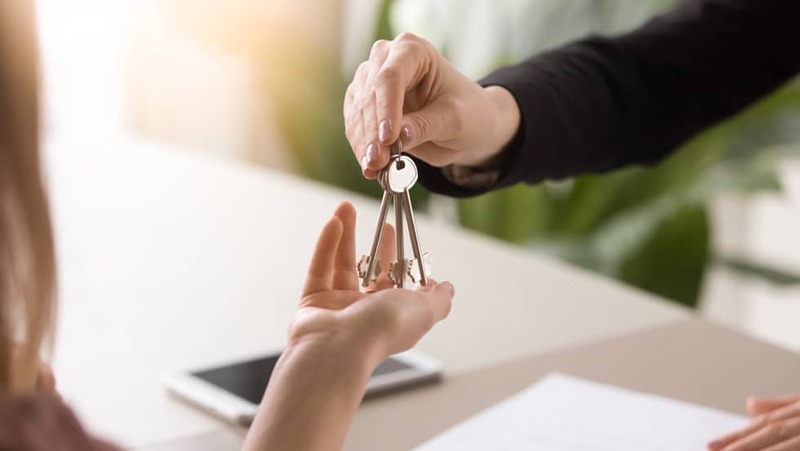 A property manager can help keep difficulties, personal or practical, at arm’s length; taking you out of the headaches and busy work so you can focus on the grand strokes of your property. But pick your person wisely, they too are a form of investment that will have lasting effects beyond the initial process of acquiring a tenant. Consider their fees and own marketing skills, as well as how effective they’ll be in the future. They will be representing you and they need to be reliable. Property management agencies with large client bases may bring good experience to the table, but can often spread themselves thin and come at a fairly high cost. I prefer to keep things more personal and handcrafted, to pick out a property manager for their own particular skills and attitude. Putting in a little sweat to find the right person for the job will make it easier to hand over the reigns. The National Association of Residential Property Managers (www.narpm.org) and the Institute of Real Estate Managers (www.irem.org), provide useful online databases for combing prospective candidates.Take into account not only how much time they’ll be spending on your property, but their availability and responsiveness, how connected they are to tradespeople and how good of a problem solver they are. Their job is to worry so you don’t have to, you shouldn’t be needing to micromanage your micromanager. Little extras and personal touches can also go a long way; it’s becoming more and more popular for landlords to provide services such as lawn-mowing and pool cleaning, especially in higher value properties. You need a property manager who will have the means and the insight to organise these sorts of finer details. Above all though a property manager needs to have a passion for your property and strong fundamentals. Things big and small can and will go wrong, and you’ll need a deft and swift hand to sort them out. Today’s tenants, especially busy city-dwellers, expect speed above all else. They don’t want to have to call twice if their power goes out. A good and consistent property manager makes for a good and consistent property, which in turn will bring in good and consistent tenants. For those who are more hands-on with their investment property, short-term tenancies can be very rewarding, though potentially less consistent in earnings potential. With short-term arrangements you’re only going to be dealing with tenants for a short period of time, perhaps even just a day or two. Tourists and travellers make for less fussy clientele, and a higher turn around of tenants can make for less headaches if not less busy work. As I said earlier, speed is important when resolving on-site issues, that applies doubly so for short-term tenants. When selling to a wide audience your property also needs to appeal to a wide pallet. Long-term tenants will be looking to make a house a home, but not so here. If you’re seeking renters through a service like Airbnb, you’ll be focusing as much on furnishings as you are on advertisement and presentation. It’s best to leave your own personal design quirks and particular tastes at the door, and focus on the modern, clean and inoffensive when it comes to home decor. Tenants coming to a locale for just a few days don’t need a cat-hair rug to feel at home. Functional over flashy, neutral over neurotic. Finding tenants is in no small part an exercise in an effective and far-reaching advertisement. Getting creative is the key, and being aware of who will be interested in your property and how to get the word to them. For me, a well skilled property manager is hard to beat, and investing in their services is rarely a bad move. It depends of course on how it is you want to run your property going forward, and the degree to which you feel comfortable handing down responsibility to third parties. You want good tenants to stick around, finding them is just the first step. If you would like to talk more about how to best practices for managing tenants, let’s connect.